I've previously recorded and audio and video series called "Freed from Tithing, Free to Give." In that series, I briefly mentioned the significance of Abraham's tithe to Melchizedek but I wanted to take a deeper look at it so I recorded this video. Actually there are two videos below. The first one is about 13 minutes and covers all of my main points, and the second one is simply a shorter version (less than 6 minutes) for those who don't have as much time, covering the highlights of my main points. Why does the writer of Hebrews bring up Abraham's tithe to Melchizedek in Chapter 7? Was he giving tithing instructions to the church? Really, it has nothing to do with the church tithing. Rather, all throughout the epistle, the writer is making a case to the Hebrews for the superiority of the priesthood of Jesus over the Levite priesthood and the entire Old Covenant. As part of his explanation, he shows how Abraham's tithe to Melchizedek means that Melchizedek is greater than Abraham, and therefore Melchizedek is greater than the Levites, who were still "in Abraham's loins" when Abraham gave his tithe to Melchizedek. And since Jesus is "high priest according to the order of Melchizedek," then Jesus is also greater than the Levites. That's the whole point. It has nothing to do with we, the church, tithing to Melchizedek or Jesus. 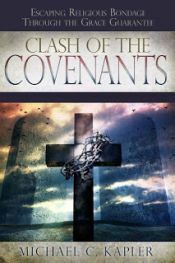 The writer simply brings this tithe up to show how Jesus supersedes (is greater than and takes the place of) the entire Old Covenant.